Nargis Shiraz and members of her team. Shirazi heads a foundation that seeks to help the youth to deal with issues like family planning, in the hope that it will reduce unwanted pregnancies and abortions. In May last year, Nargis Shirazi met for the first time, Melinda Gates, wife to Bill Gates, at the “Women Deliver” conference in Malaysia. “Women Deliver”, is a global advocacy organisation that brings together voices from around the world to call for action to improve the health and well-being of girls and women. “There were nine of us that met Melinda, out of 100. She took time to listen to us all, one by one. We shared our stories and hopes. It was unbelievable. Her passion for people humbled me,” Shirazi recollects. When the school administration of Kamwokya KCCA Primary School, found one of their pupils in great pain and bleeding heavily, they were not prepared for the distressing information she would give them. The girl, a Primary Seven pupil, had been intentionally injured by her mother, who suspected her of having a boyfriend at school. According to Ms Jane Kansiime, the headmistress, the girl was bleeding profusely which forced them to report the matter to Kira Road Police Station. “We found that the girl could hardly move because the woman put her fingers in the girl’s private parts. She was trying to check whether she was sleeping with men. With that anger, I think she damaged some of her body parts. 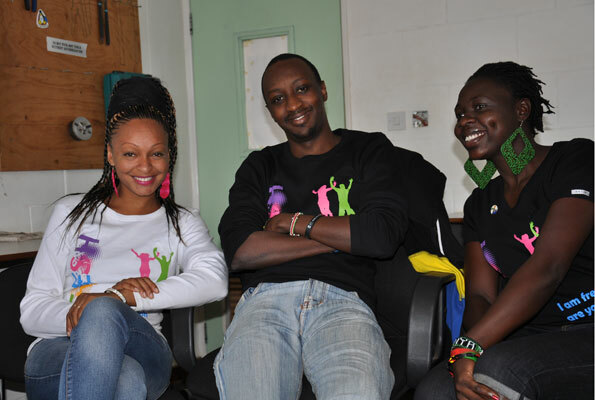 The girl is in pain, I think she got an infection,” Kansiime said. A woman smokes shisha in a Kampala hangout recently. A new Bill has been tabled, which among other things, seeks to ban the smoking of shisha. Parliament is working on a Bill that among other things wants smoking of Shisha [Hookah] banned. Shisha smoking, the latest fad for the middle-class and the youth, is a brand of smoking where tobacco is flavoured using water. The team that is currently drafting Uganda’s Tobacco Control Bill (TCB) intends to produce an avalanche of laws that will effectively ban Shisha smoking as well as providing guidelines for tobacco smokers. “We have proposed that we ban it before it becomes widespread,” said Dr Sheila Ndyanabangi, the Ministry of Health’s Focal Person Tobacco Control, said on Saturday. “We want to save lives,” Dr Ndyanabangi said in Kampala during a meeting organised by the Uganda National Health Consumers Organisation to raise awareness of the dangers associated with tobacco. According to experts, this brand of smoking also affects non-smokers since those smoking exhale some smoke that is released later. The World Health Organisation says on average 37 people in Uganda die everyday due to tobacco-related illness such as lung cancer. Unfortunately, according to the Uganda Bureau of Statistics, the number of young males who smoke has increased from 12 in every 100 (2001 figure) to 19 in every 100 (2011) young males. Patients wait to be attended to at the cancer ward in Mulago Hospital recently. A study has shown that long waiting hours are the common cause of dissatisfaction in government health centres. 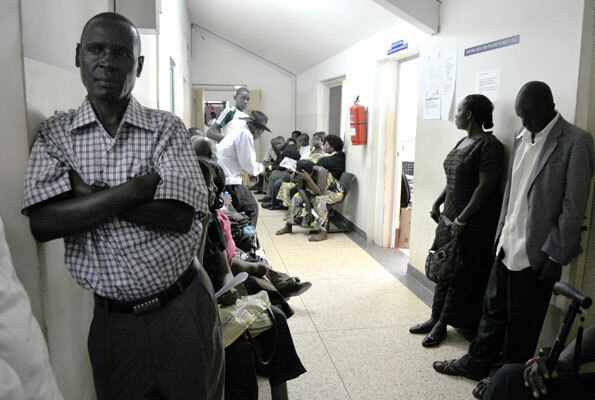 Majority of Ugandans are dissatisfied with the health services given at public health facilities, a new survey shows. A 2013 study conducted by Medicines Transparency Alliance (MeTA) Uganda has shown that 53 per cent of Ugandans are unhappy with services in public health facilities despite reported increase in medicine availability. The survey based its findings on the time taken for patients to be attended to, time taken to get medicine, attitudes of the prescriber, the dispenser, nurses and complaint handling and laboratory services. According to the findings, the attitude of the nurses ranked lowest at 28 per cent while complaint handling and laboratory services were found to be at 30 and 35 per cent respectively. 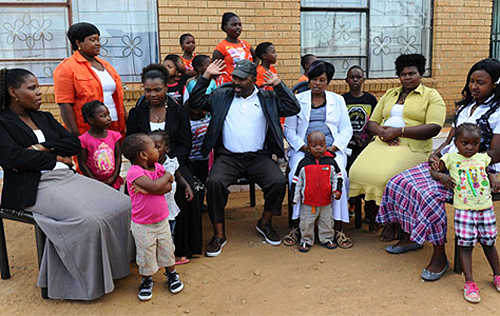 Polygamy is very common among traditional communities in many parts of Africa, as this family in South Africa. NAIROBI – Kenya’s parliament has passed a bill allowing men to marry as many women as they want, prompting a furious backlash from female lawmakers who stormed out, reports said Friday. The bill, which amended existing marriage legislation, was passed late on Thursday to formalise customary law about marrying more than one person. The proposed bill had initially given a wife the right to veto the husband’s choice, but male members of parliament overcame party divisions to push through a text that dropped this clause. Eleanor Bageine (L) giving Angela Tindimwebwa a mama kit after the training on importance of antenatal care. Angela Tindimwebwa (29) is a mother of two living in Kamwokya Kifumbira slum in Kampala. She is expecting another baby and she confesses to have never visited a health centre for antenatal care. She says she saw no value in visiting one when she had friends to help her give birth. She added that none of her friends told her about the dangers of not visiting a hospital when pregnant and none of them does so. After the training she vowed to start visiting the health centre. “With this antenatal class, I am going to give birth to my third child from the hospital. I have learnt that delivering from home can cause complications to mothers, can lead to the newly born baby to contract HIV and that in a hospital there midwives who handle mothers well when giving birth. 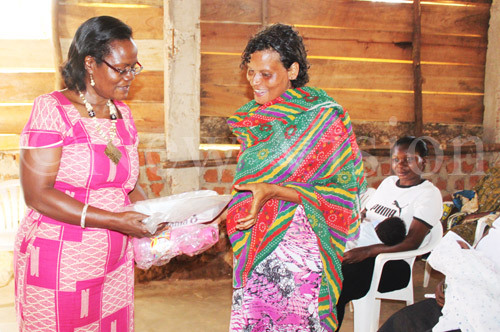 I was always discouraged by my friends that in hospital they pay a lot of money, and that midwives mistreat mothers giving birth, that is why I was reluctant to go to the hospital, and I could pay them sh25, 000 to help me give birth,” she says. Tindimwebwa advised all stakeholders working to help improve antenatal care to move to the less privileged places like slums to teach mothers about antenatal services because most of them are ignorant about these services. Like Tindimwebwa there’re many mothers in the country who lose their lives due to ignorance about antenatal services. This has puts many at risk of losing their babies and their lives. 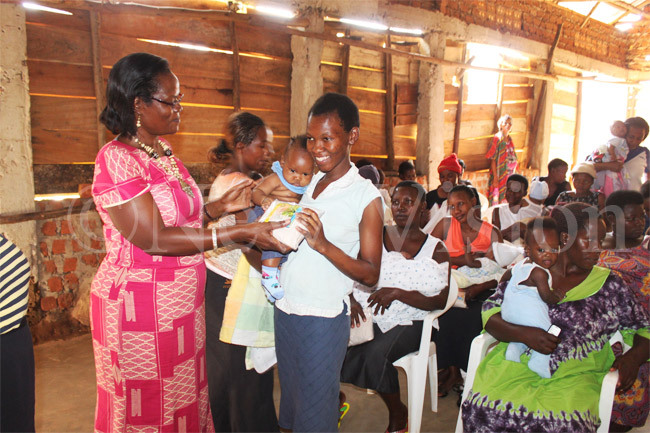 According to the Uganda Demographic and Health survey, the maternal health indicators for Uganda have generally remained poor in the past years. Over the years, maternal mortality stagnated at about 435 deaths per 100,000 live births. Yesterday pregnant women and mothers from Mulago zone and all Kamwokya slums received free antenatal training at Save street children Uganda in Mulago. 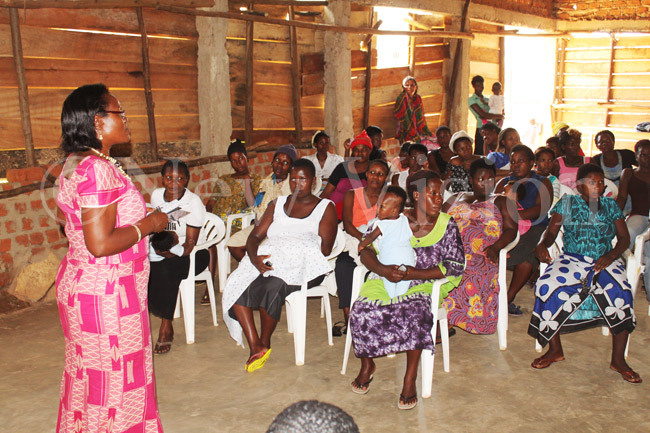 The training was organised by Women’s International Maternity Aid (WIMA) a voluntary, non-profit organization of Ugandan and expatriate women dedicated to helping the people of Uganda improve and extend their mother and child health care facilities. They were trained on the importance of visiting health centres while pregnant, testing for HIV, and giving birth in hospital. They were also advised on the dangers of giving birth at home. After the training, women received free mama kits, maternity dresses, and clothes for their babies and free millet floor for feeding their children. Eleanor Bageine the chairman WIMA said they chose women in the slums because they thought they were ignorant about antenatal services. “Indeed our thinking was right; most mothers in these slums were ignorant about these services. We are to continue moving in different slums, our aim is to see that the less privileged get to know about the importance of antenatal services,” Bageine explained. According to world health organisation (WHO), about 287 000 women died in 2010 of complications during pregnancy or childbirth. Most of these deaths can be avoided as the necessary medical interventions exist and are well known. The key obstacle is pregnant women’s lack of access to quality care before, during and after childbirth. A mother receiving millet flour for her baby. 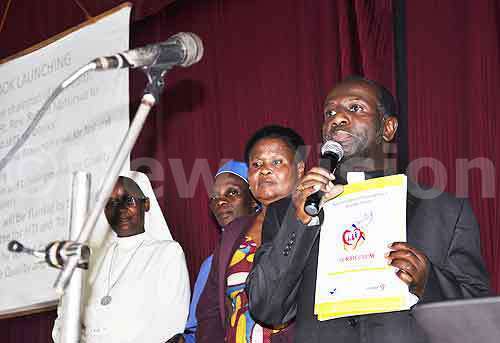 Bishop of Fort Portal Diocese, Robert Muhiirwa, who is also the chairman of the health commission of the Episcopal Conference displays a 204-page NFP service provider’s manual. 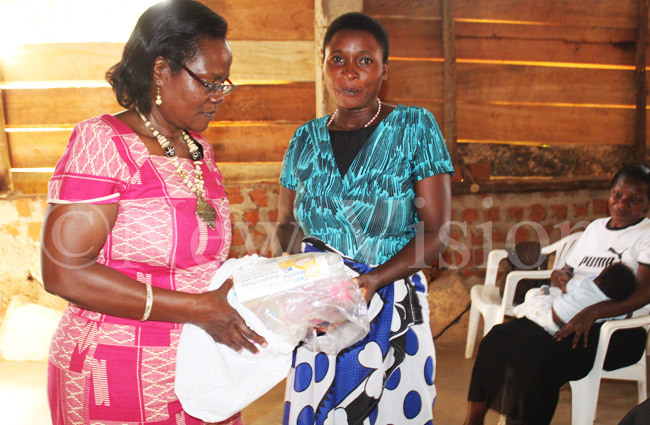 The Uganda Catholic Medical Bureau (UCMB) on Tuesday officially launched the natural family planning (NFP) curriculum. The NFP curriculum is a product of the UCMB technical arm of Uganda Episcopal Conference that deals with health matters including policies and practices, as carried out the Roman Catholic Church (RCC) health services.